Appearing on the Matthew Wright show, Lord Peter Hain said he "stood up for the average citizen" by naming the Topshop boss, who vehemently denies the allegations against him. "I stood up for the average citizen, the ordinary person," Lord Hain said. "Using parliamentary privilege in that way does protect MPs or peers from any comeback, but you have to do it sparingly, responsibly and with integrity. You can't just stand up and level any old allegation against anybody, because that would be an abuse of the system." The peer came under fire for naming the businessman due to his financial links to the law firm who represented the Daily Telegraph, the newspaper which first broke the allegations. "I wouldn't have done this lightly. I've been in Parliament for 30 years and I've only ever used parliamentary privilege to name individuals on two other occasions," he said. "Once in 2000 to identify gun runners taking arms into bloody conflicts in Africa, and more recently in the House of Lords to out President Zuma's corruption and one of his cronies. It's not like I've done this every other week." 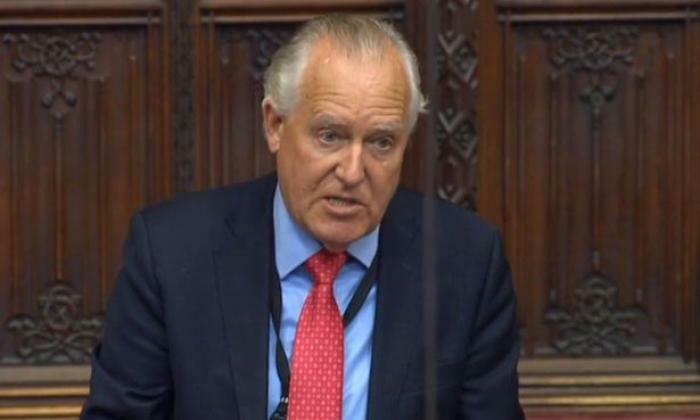 Lord Hain is reportedly being investigated by the House of Lords Commissioner for Standards over his conduct, and Sir Philip said he would also lodge a formal complaint against the peer. "I understand the judiciaries concern and the criticisms that have been levelled at me... I understand that perfectly," he said. "At the end for me, having listened to the accounts I was satisfied myself that it was credible." He added: "I felt that I was duty-bound to speak up. It is for everybody else to make their minds up who was right in this case. The judiciary, or myself? ".